This restored Quaker village is surrounded by thousands of acres of farmland and scenic views preserved by scenic easements. 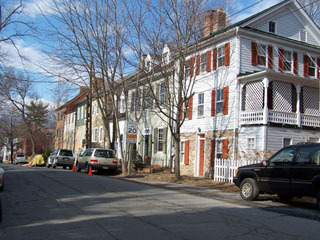 Waterford is the home of a number of Loudoun County artists and craftsfpeople. The three-day Home Tour and Crafts exhibit brings thousands of visitors each fall. Although most of the sites in Waterford are private, the Old Corner Store is open June through December, and the Old Mill is open June through September, noon to 5 pm.